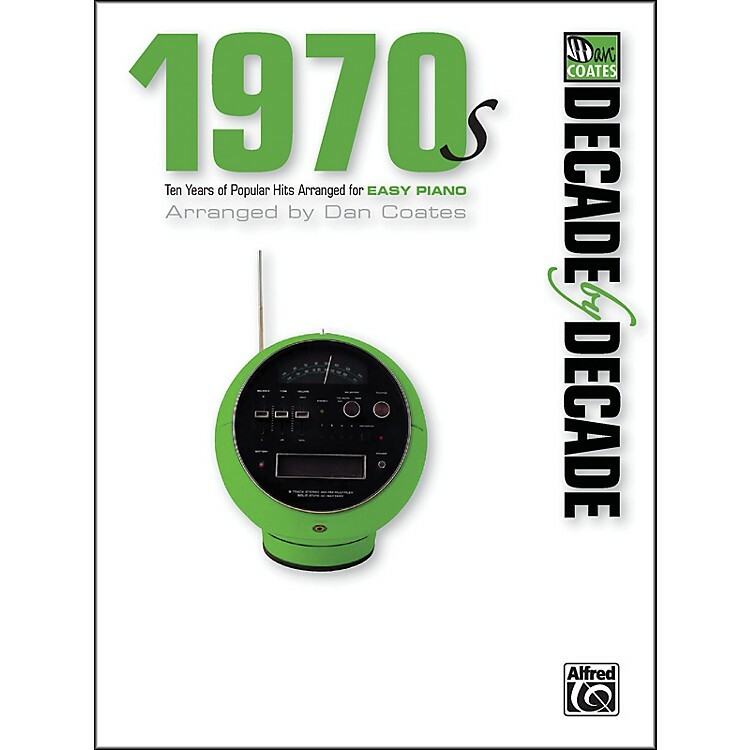 Dan Coates's Decade by Decade series is jam-packed with the best pop music of the 20th century. Never before has there been an Easy Piano collection with so many chart-toppers by award-winning performers and songwriters. Descriptions of each piece are included to broaden understanding of pop music history and to put all of these megahits into perspective. Each song also includes lyrics and chord symbols. With so many years of great songs, the Decade by Decade series is sure to appeal to pianists of all levels and ages.Titles: Annie's Song * The Best of My Love * Big Yellow Taxi * Bridge Over Troubled Water * Can You Read My Mind? (Love Theme from Superman) * Charlie's Angels (Main Theme) * Dancing Queen * Desperado * Don't It Make My Brown Eyes Blue * Ease on Down the Road * Evergreen (Love Theme from A Star Is Born) * Go Your Own Way * The Greatest Love of All * Hotel California * How Deep Is Your Love * Killing Me Softly with His Song * Layla * Love Story (Where Do I Begin) * Maggie May * The Masterpiece (Theme from Masterpiece Theater) * Moondance * Old Time Rock & Roll * Peaceful Easy Feeling * Send In the Clowns * Sister Golden Hair * Song from M*A*S*H (Suicide Is Painless) * Star Wars (Main Title) * Stayin' Alive * The Summer Knows (Theme from Summer of '42) * Sunshine on My Shoulders * Theme from Superman * Those Were the Days (from All in the Family) * Too Young * Weekend in New England * What a Fool Believes * You Light Up My Life * You Make Me Feel Brand New * You Needed Me.